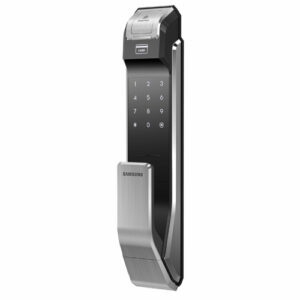 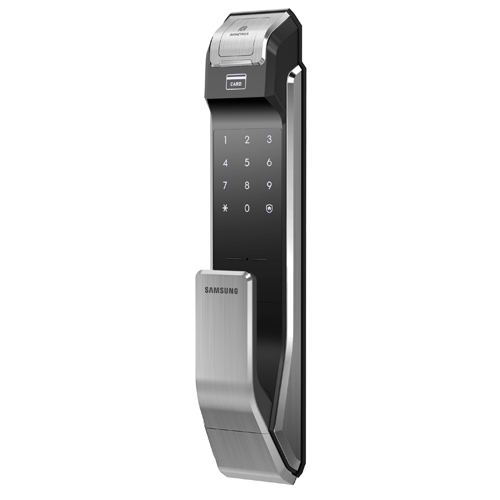 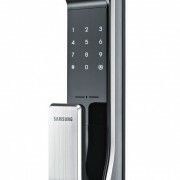 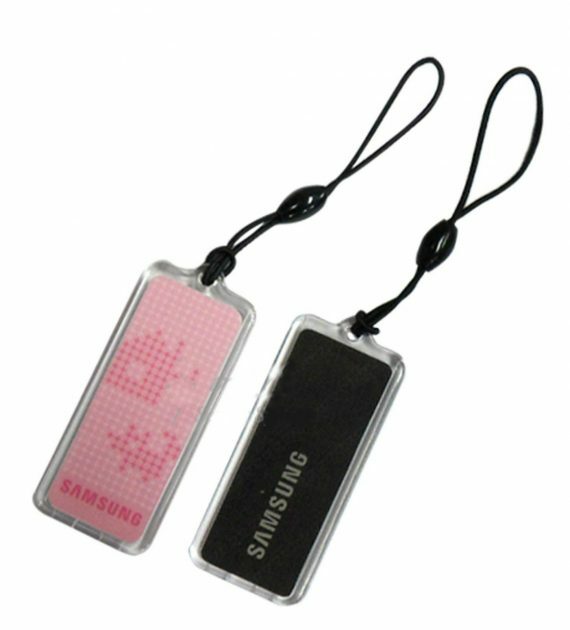 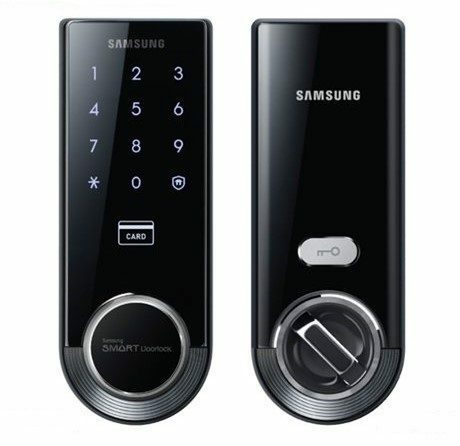 SHS-P718 (LBK): Samsung SMART Push-Pull Handle Digital Door Lock (Fingerprint, Big Mortise AML320 version) - BENA CO. Speedy and accurate access with optical fingerprint authentication. 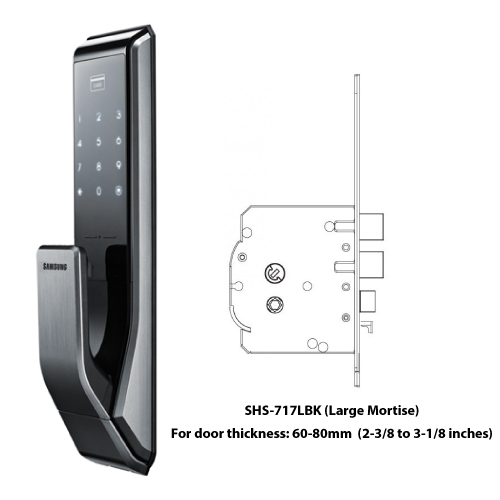 This version of SHS-P718 LBK with AML 320 Big Mortise is recommended for door thicknesses between 60mm-80mm or for larger doors. 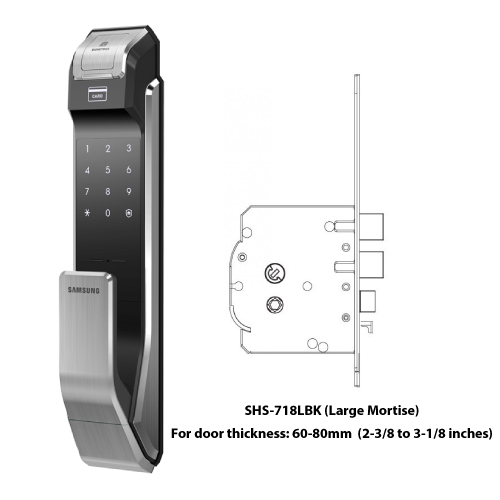 We recommend the standard mortise version, SHS-P718 LMK for door thicknesses between 38-60mm (1-1/16 to 2-3/8 inches).